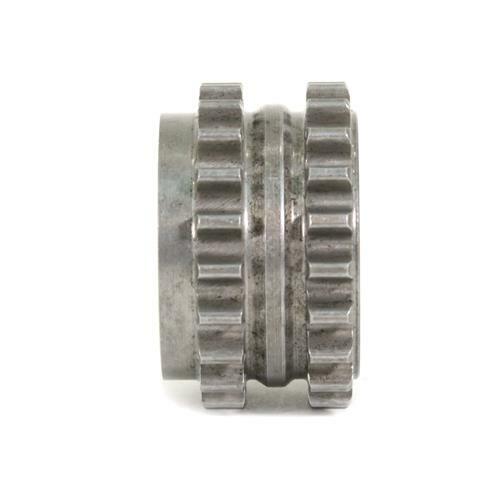 Upgrade your Mustang's oil pump gears and crankshaft sprocket with this heat treated 2015-2018 Mustang GT Oil Pump Gear & Crankshaft Gear Sprocket Kit! 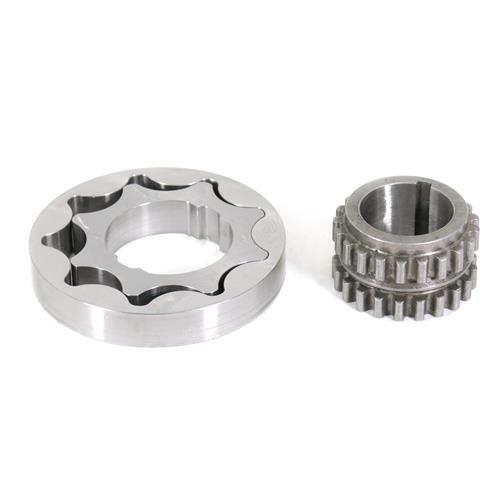 Boundary designed this high-performance 2015-2019 Mustang GT oil pump gear & crankshaft gear sprocket kit to replace the factory gears and sprocket in your S550 Mustang. The factory oil pump gears are known to be the weak link when running higher than normal RPMs due to Cobra Jet manifolds, cams or adding superchargers, nitrous, or turbos. The added horsepower will put more stress on the stock oil pump gears and crankshaft sprocket which could then cause oil pump gear failure, leading to engine failure! Pick up this kit today to get that peace of mind when adding more power to your Coyote motor! 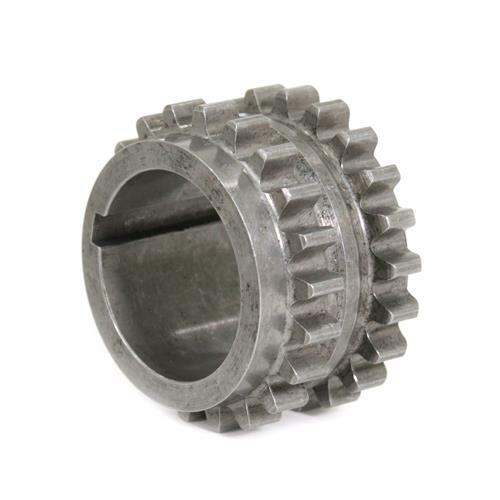 Designed and manufactured right here in the USA, with the oil pump being made from 4140 Chromoly and crankshaft gear sprocket constructed from 4340 Chromoly, they are both heat treated for the ultimate protection! 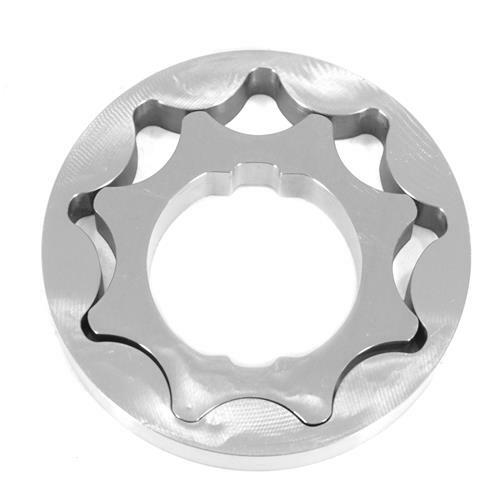 Boundary was able to achieve 50% more strength with their crankshaft gear sprocket over the factory piece by adding an anti-burst ring to the design, which allows you to turn up the power! Does NOT fit 11-14 truck based 5.0L Coyote oil pumps. The oil pump gears are physically smaller and will not fit. 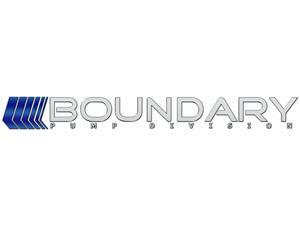 Boundary delivers cutting edge technology by using state of the art CNC milling and turning equipment for their products. 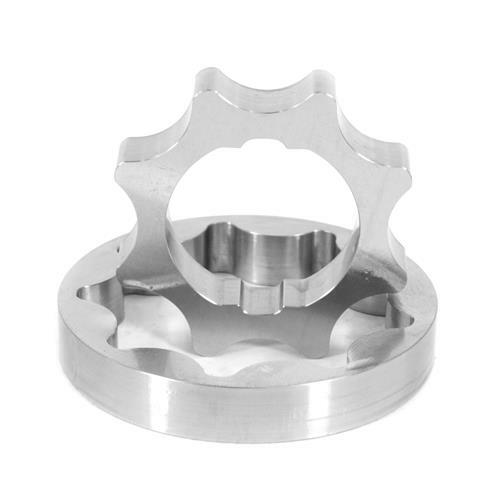 Boundary was founded in 2003 and specializes in producing various metal goods for the automotive racing industry. As early as 2005 they began researching and understanding the complexities of manufacturing gear pumps commonly used in the automotive racing industry. In 2008 they launched their first gear products. Since then, they've sold thousands of high-quality oil pump gears!